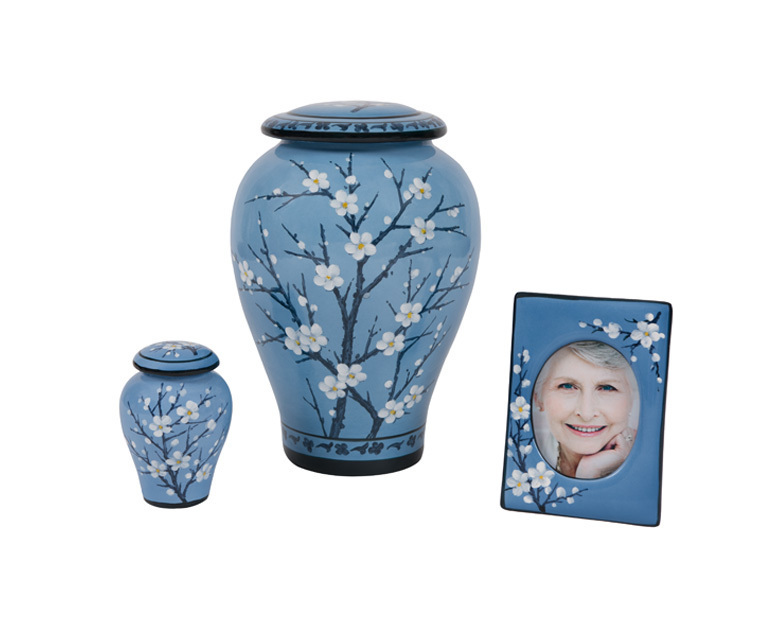 The Floral Urn series is made of ceramic and features a beautiful style with a choice of two colors. These urns open from the top and have a matching lid that can be sealed when ready. 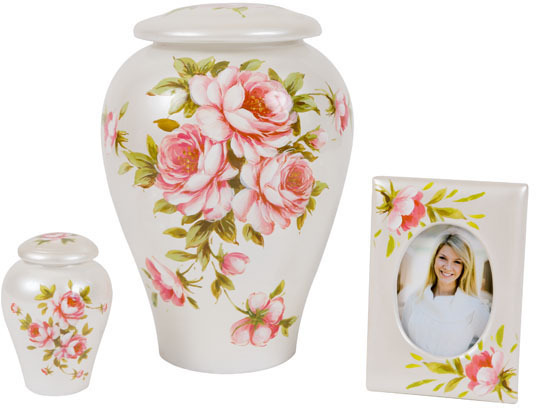 With both designs, a matching keepsake urn or photo frame keepsake is available. 5.7" x 4" x 1.9"